Ask Allergy Aunt: Our Child’s School Teacher Doesn’t Take Her Allergy Seriously, Help! Ask Allergy Aunt your questions, queries and frustrations dealing with allergies and living a free from lifestyle. She send you some words of wisdom and encouragement to support you. My 9 year old daughter is in Grade 4 this year and has a new teacher that we’ve never had before for our family. Previous to this year, all of her teacher’s have been very accommodating with her peanut allergy and worked hard to make sure she felt safe and secure in the classroom. The new teacher however, does not. His first comments to me upon starting a conversation about the allergy were that he liked Reece peanut butter cups, so this doesn’t really work for him. He has yet to decide if he will honor a peanut free classroom and he has not sent anything home to his students about the allergies in his class (there is also a hazelnut allergy [he doesn’t believe the girl who told him this]). We are in Canada, so our system is on a school by school basis, not like in the US where it is accepted as a disability. My husband and I are meeting with the school admin tomorrow morning… what do I ask/demand/etc? My mind is whirling right now and I’m afraid of leaving something out. Please help. Having a meeting with the principle is exactly the right way to go. Getting the principle to understand and be on your side will go a long way to educating this new school teacher. Most people’s rash comments come from ignorance rather than malice. The best thing to do is take a breath before you answer. One way to make some take notice of what you are saying and the seriousness of allergies is to teach them how to use an adrenaline pen. Teach them how to use it, where to give the injection (big thigh muscle), and how they will have to deal with the reaction because you won’t be able to get there in time. Sometimes a little bit of shock tactics are necessary. When it comes to the meeting, it is less about asking permission but more about stating the facts of your daughter’s allergy and the precautions that need to be taken. After all allergies are a biological fact that just need to be accounted for. It’s not about taking anything away from the other children, it’s about making the classroom inclusive and tolerant of everyone and who they are. What is also important is that your child needs to know that she has your absolute support to make decisions about her allergy safety and well being. That may mean saying ”no” to an adult, or anyone. If your daughter knows she has your support to say ”no” she will feel more confident taking ownership of her allergy and that means your daughter is safer in her life. Got a problem you’re not sure how to handle? Ask Allergy Aunt by using the form below. We’re here to support you. You don’t have to use your real name either! 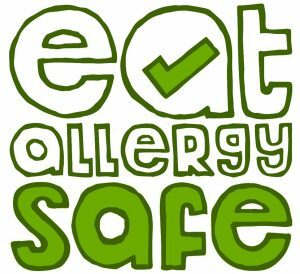 *By sending this message you are agreeing to have your query published on www.eatallergysafe.com, you agree to allow Eat Allergy Safe Ltd to distribute and disseminate the message in any manner. You also agree to allow Eat Allergy Safe Ltd to retain rights to the produced media for any potential future use in speeches, books, podcast, videos and in all other public distribution.